In recent years I have found my regular cycling mileage steadily drop to almost recreational levels. When I was in Milan my commuting miles were just 6 miles per day along pan-flat terrain, and although I made an effort to get out and ride at weekends in the lovely testing hills around Lake Como and the Oltrepo Pavese region, I was only getting out and doing this type training ride once every couple of weeks, since weekends would frequently be spent travelling to London or elsewhere. Things didn't improve when I was in Macclesfield either. Again, the great training terrain of the Peak District, the Goyt Valley and Macclesfield Forest were on my doorstep. However, I was returning to London every other weekend, and my commuting miles were just 3 miles, albeit over undulating terrain. So since starting to live in London full-time, last summer I have come to realise how much fitness I have lost from my former self. It has been great to get back to doing my regular 10-mile hilly commute into Central London from Crystal Palace, as well as my weekend rides. Although regular, different significant events in my life and health matters have meant I wasn't able to spend as much time out on my bike, or ride to a high intensity. But now, I feel it is time to get back to the good old days when I could ride 150 miles + per week through commuting and riding a decent weekend ride. It would be lovely to feel fit enough to properly ride cyclosportives to my potential, not just aiming to survive them. I would also like to have the base fitness that to do high intensity competitive cycling. It is now time to break the old cycle [pardon the pun] and reinvigorate my bike riding. 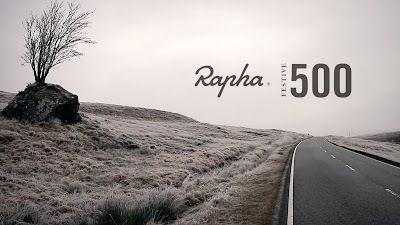 So what better way to do so than by taking part in the Rapha Festive 500. Basically, I am challenging myself to ride 500km between Christmas Eve and New Years Eve. In theory, it should, be doable. This distance, 500km (or 310 miles) is roughly what people can do when on a week-long warm-weather training camp in Mallorca or Lanzarote. But that's the rub. The Rapha Festive 500 is a global challenge, so those folks in southern hemisphere countries like Australia or South America won't have trouble completing these distances during their long, warm summer days. Even the climatic conditions in Spain or the Canary Islands at this time of year are quite mild. Here in the UK it's another matter. With sunrise being after 8am, and darkness falling by 4pm a long bike-ride, on country lanes gets harder to fit in. Of course there's also the weather to consider. People in Northern England and Scotland are experiencing two sets of strong storms, and down here in London it has been very windy. No, these short, grim, cold days don't inpsire people to get out on a bike. So achieving 500km this week will be an achievement for me - not just because I will have endured the inclement conditions, but also because I will be able to say I have given a very healthy boost to my cycling fitness. You can get in the 500km any which way - as bite size 70km stages, or as a couple of ultra-long rides if that's the way you want to do it. 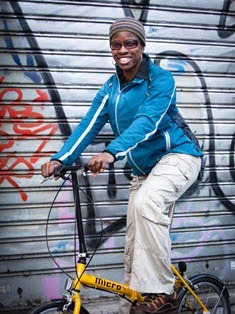 My friend, Annaleena Piel Linna did Paris-Roubaix-London last year. I considered doing London-Paris and back. But in the end I have chosen to stay home and do My Tour de Londres. The plan is to ride from London to the home counties surrounding London tracing routes as near as possible in the shape of the spokes of a bicycle wheel - maybe with a hub and a bit of the rim! Stages will be between 50 and 100km, depending on the day, given that I will also be juggling these rides with a few running events and a cyclocross race. It'll be a long road, but I will give it my best shot. So keep an eye out for my posts on how I've been getting on.